Black-headed Gull (Chroicocephalus ridibundus). Summer plumage. Taken at Farmoor, Oxon., on May 9th 2010. Summer plumage. Taken at Farmoor, Oxon., on May 9th 2010. Black-headed Gull (Chroicocephalus ridibundus). Winter plumage. Taken at Farmoor, Oxon., on October 7th 2018. Winter plumage. Taken at Farmoor, Oxon., on October 7th 2018. Black-headed Gull (Chroicocephalus ridibundus). Winter plumage. Taken at Radley Lakes, Oxon., on January 3rd 2018. Winter plumage. Taken at Radley Lakes, Oxon., on January 3rd 2018. Black-headed Gull (Chroicocephalus ridibundus). Juvenile. Taken at Farmoor, Oxon on August 19th 2016. Juvenile. Taken at Farmoor, Oxon on August 19th 2016. 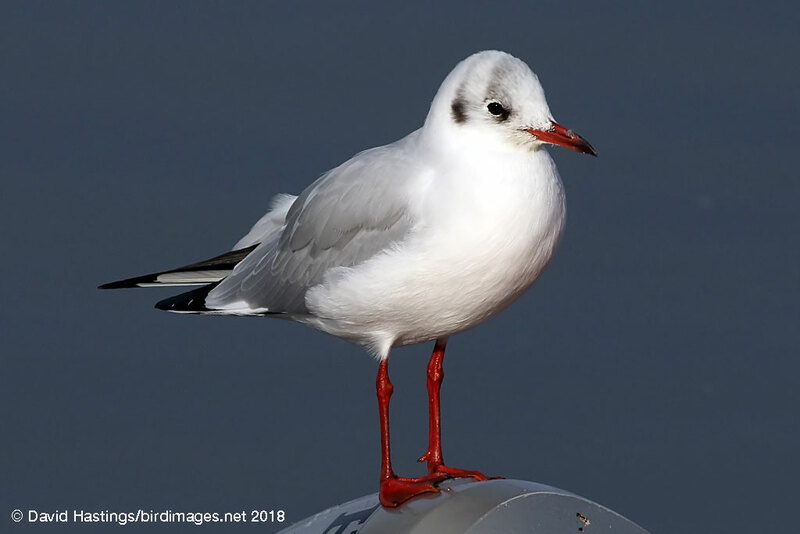 The Black-headed Gull has a chocolate-brown (not black) head, but only in the summer. For the rest of the year its head is almost white, with just a black smudge behind the eye. This species has two age groups (three in late summer). It can be found almost anywhere inland and on the coast. 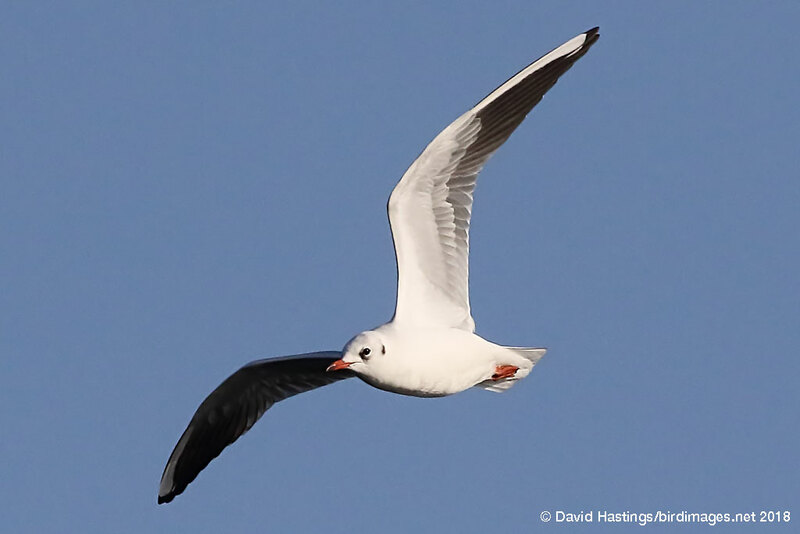 Many Black-headed Gulls never see the sea, as the combination of inland reservoirs and rubbish dumps exactly suits their needs. It has amber status on the British list. 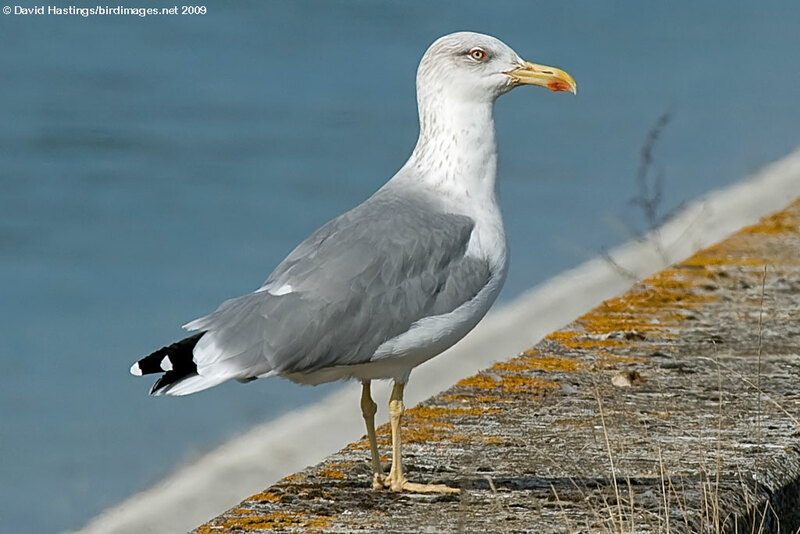 Around 138000 pairs breed in Britain, but over two million birds spend the winter here.